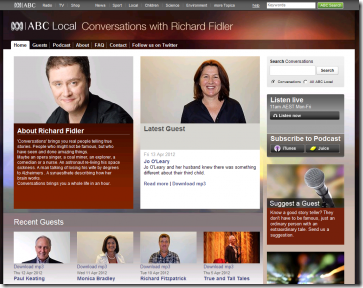 Just recently I have been enjoying the Conversations with Richard Fidler [^] podcasts from the ABC. They are generally around 45 minutes of Richard gently guiding his guest through their life story. And it makes for amazing listening – perfect for the drive home. There is one small problem though, Richard keeps on opening my eyes to new concepts and ideas. The two that I have heard in the past couple of days are “One good thing about being wrong is the joy that it brings others”, and the law of unintended consequences. The law of unintended consequences is loosely defined to say that the actions of people always have effects that are unanticipated or unintended. Wikipedia gives some good examples of beneficial and detrimental unintended consequences from the real-world. Consequences can also includes perverse effects – where the action delivers the opposite result to the one desired. The most well-known perverse effect is the Streisand Effect; where trying to block personal information online results in even more publicity! The law of unintended consequences is a realisation we cannot hope to predict all of the possible outcomes from complex, and indeed not so complex systems. Powerful stuff – thanks Richard.